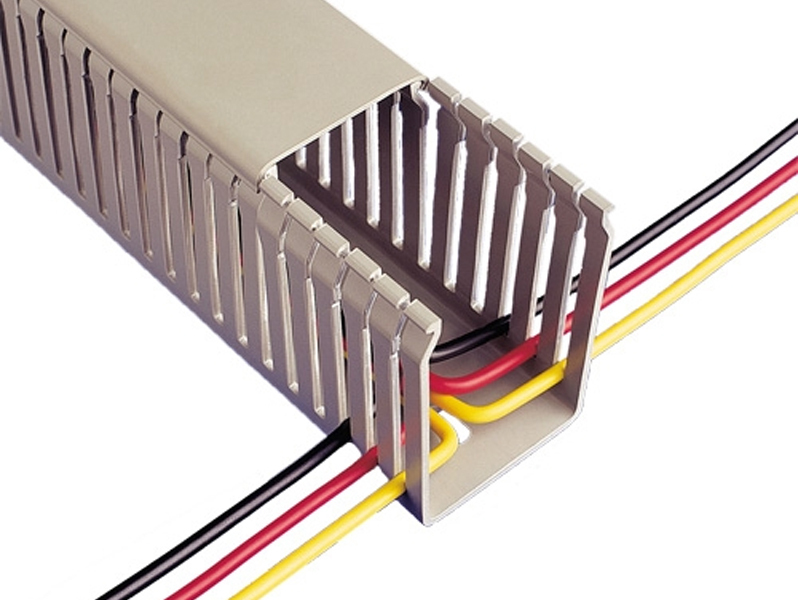 Narrow Slot wiring ducts are manufactured with narrow fingers that make it ideal for use in compact wiring configurations, improving the appearance of panels with cables out in best position. 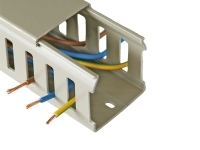 It is designed specifically for wire and cable management applications within cabinets, control panels or where space is limited. 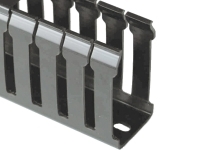 It is ideal for use with thinner terminal blocks where more access is required. 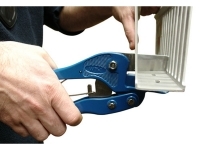 When necessary, the slot 'fingers' can be removed to accommodate larger cables. 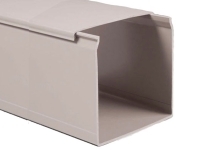 Narrow Slot wiring duct is made of a lightweight but rigid, self extinguishing PVC that is tested and approved for use underUL94V0 and CSA material standards. Additionally, it is in compliance with RoHS, the European directive on the Restriction of Hazardous Substances.